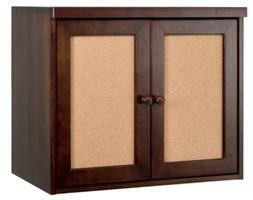 This cupboard gives you extra storage with smart, modern design. Corkboard or chalkboard panels let you do just about anything. Now, that’s smart. That’s Modo. Dimensions: 29.125 x 13.875 x 24"